Far from the hustle and bustle of city life, the story of Sardaar Gabbar Singh is set against a rural backdrop in a fictitious place calledRattanpur. Once subsidiary of princely state, Rattanpur is situated in the borders of Telangana, Andhra Pradesh and Chhattisgarh. Since the town was part of Hindi provenance, the people of Rattanpur are familiar with Hindi and their jargon has mix of both Hindi and Telugu. With a sizeable population of 5000 to 10000 people, Rattanpur's bucolic milieu is what sets it apart from the rest. Its landscape is wide and varied. From royal palaces to silica, quartz mines to mountain terrain to cavalry barracks to finest horse breeding centre, Rattanpur is most happening place. The town of Rattanpur has four entries. While one major entry being through the Rattanpur Railway Crossings, the other three are the grand arches that open into four streets. 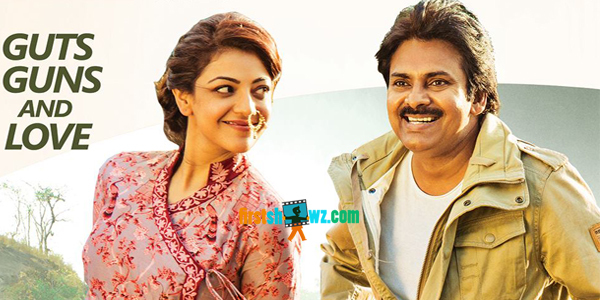 Sardaar (Pawan Kalyan) stays in the street of Rattanpur police station which is major landmark in the town. Just to name a few, the other major spots in the town are Govindram Saloon, Dhaba, horse breeding centre, temple, Rajput Rifles shop, Library, Rattanpur Post Office, Hotel Moonlight, Scrap Shop, Horse Saddle Shop. Rattanpur has a great significance in the story of Sardaar Gabbar Singh. As the film's plot is weaved around the town, the film is predominantly shot in it. The major characters of Rattanpur have crude and grey shades and most of the characters are unpolished. In Sardaar Gabar Singh, one could find genuine depiction of town life. Be it their dressing or culture, everything stands out in the film. Though it's a small town, the fashion element hasn't given up. Costume designer Rajesh ensures each character has its own fashion statement. And colours, designs of costumes of cast have been fixed much before the film gone onto the floors. An earth colour palette is chosen as the base and the makers make sure only the colours from the palette are used for the characters and background. Veering towards the town's climate, Rattanpur has tropical climate which makes it hot and humid. It has many agricultural fields. The staple food of people here is wheat, jowar, maize and rice. The major livelihood of people is horse breeding. Hosting a Marathwada horse fair is part of their culture. Writer-actor Pawan Kalyan, Producer Sharrath Marar, Director K.S Ravindranath (Bobby), Cinematographers Arthur Wilson and Andrew, Creative head Harish Pai, Art Director Brahma Kadali, Computer Graphics' Bhanu, Storyboard artiste TSS Kumar and whole creative team of Sardaar have many restless days, nights in envisaging how people, places and things of Rattanpur look. The team has done an extensive research and meticulously designed each and every minute detail related to Rattanpur making it an engaging place to look out for.